(GLENDALE) It was old home week at the Alex Theatre in Glendale Sunday night when veterans of the now-defunct Cabrillo Music Theatre reunited for Musical Theatre Guild’s single performance production of Cole Porter’s High Society, the latest in MTG’s “Broadway In Concert Series.” Former CMT artistic director Lewis Wilkenfeld helmed the production with his usual sure hand, flanked by former compatriots Cassie Nickols (musical director) and Heather Castillo (choreographer). The cast featured other Cabrillo alumni, including Shannon Warne as Tracy Lord, Marc Ginsburg as Dexter C.K. Haven, and Calista Loter as Dinah Lord. The result was a bright and bubbly production as the cast breezed through the feather light story about the impending wedding of two pretentious socialites at a 1938 Long Island estate. MTG’s stock-in-trade are “concert” versions of forgotten or neglected Broadway musicals. Unlike “staged readings,” which require actors to perform in front of standing microphones utilizing minimal movement, MTG’s productions offer more latitude with regard to movement, as the actors are aided by costumes, choreography, and simple set pieces, although they are still required to carry scripts with them. Each show is produced utilizing only 25 hours of rehearsal for a single performance. High Society is based on the 1956 motion picture starring Bing Crosby, Frank Sinatra, and Grace Kelly, which, in turn, was derived from the 1940 film The Philadelphia Story, starring Cary Grant, James Stewart, and Katharine Hepburn. The 1956 musical remake features songs by Cole Porter, who was then in the waning years of a legendary career writing for film and the stage. The musical version was produced on Broadway in 1998, but its limited success resulted in revisions, with additional Porter songs added to the score. It was Hepburn, not Kelly, who Shannon Warne most resembles in her brilliant portrayal of Tracy Lord, witty and sophisticated, but a perfectionist who discards her husband Dexter as soon as she identified a flaw in his character. Hepburn’s biting characterization in The Philadelphia Story made Tracy more of an equal in her battles with former husband Dexter and fiancé George, as opposed to the more languid character played by Kelly in the 1956 film. It proved to be an excellent appraisal by Warne, who is simply splendid as Tracy. The story takes place at Tracy’s glamorous Oyster Bay estate, as she and her family are preparing for her wedding to wealthy industrialist George Kittredge. When Mike Connor, a cynical writer from gossip rag Spy magazine comes to cover the wedding, he falls for Tracy himself, raising the ire of the humorless George. High Society harkens back to pre-Oklahoma! Broadway, when musicals were basically light, escapist song-and-dance entertainment, glorified musical revues surrounding a threadbare storyline. It was the kind of show that Cole Porter loved, with erudite, witty characters singing his erudite, witty lyrics. 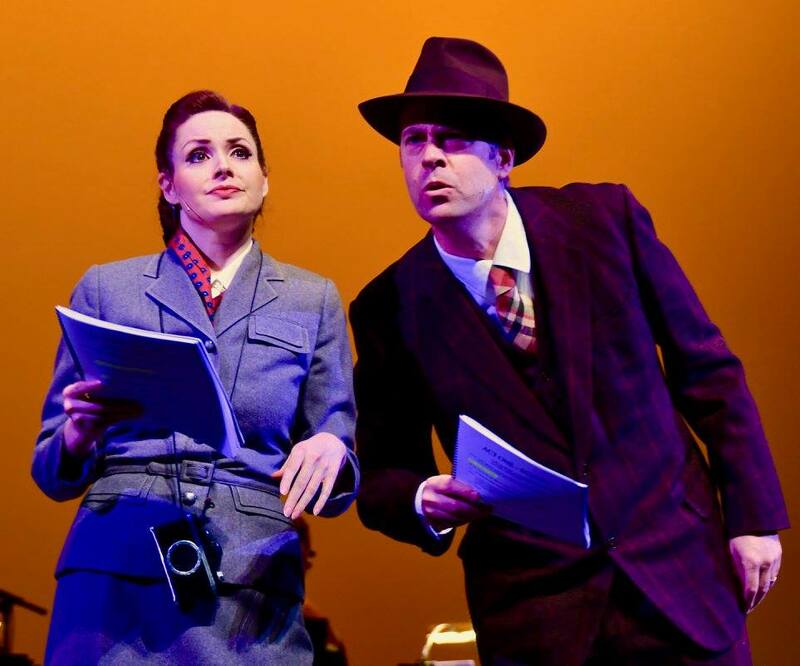 Nothing really serious happens in a Cole Porter musical and you can always count on everything to end happily ever after, with audiences humming or whistling the show’s songs as they exit the theater. The songs added to High Society, however, are more than just stopgaps in the story; instead, they are cleverly integrated into the plot. Many had previous lives in earlier Porter musicals. “Ridin’ High,” sung by Tracy and her servants after the overture, was introduced by Ethel Merman in the 1936 musical Red, Hot and Blue. “What Is This Thing Called Love,” sung by Dexter, came from the 1929 musical Wake Up and Dream, as sung by Elsie Carlisle. Other Porter classics added to the stage version include “It’s All Right With Me,” “She’s Got That Thing,” “Let’s Misbehave,” and “Just One Of Those Things,” all of which fit beautifully into the plot, many of them in abbreviated versions; miniature musical jewels that sparkle and shine as if they were still brand new. Porter’s songs written for the 1956 film were mostly retained, excepting those performed by jazz great Louis Armstrong, who was used in the film basically as window dressing to attract ticket buyers. “Well, Did You Evah,” sung in the film by a tipsy Crosby and Sinatra, was transferred to a tipsy Tracy and her servants, with reprises offered by her tipsy uncle Willie (the delightful Thomas W. Ashworth) and Spy magazine photographer Liz Imbrie, played by Stephanie Fredricks with caustic cynicism as Eve Arden might have done it. The most beloved song from the film happily remains: the unabashedly romantic “True Love.” The song differed from other Cole Porter compositions, with their endless laundry lists, contemporary references, and multi-syllabic words. Simple, elegant, and bittersweet, it remains the one song that can bring a tear to the eye like no other in Porter’s catalog. It was the favorite of song publisher Max Dreyfus, head of Chappell & Co., Porter’s publisher. Dreyfus famously called “True Love” worthy of anything written by Franz Schubert, a weighty comparison by anyone’s standards. Singing a song with that kind of gravitas would be daunting to any actor, but Warne and Ginsburg deliver it with a sweetness that makes one fall in love just by hearing it. Ginsburg is magnificent as Dexter, who remains Tracy’s neighbor despite their divorce. Ginsburg’s Dexter seems to know the outcome of the story, bemused and unflappable as he crashes the wedding, waiting for the chaos to play itself out so that he can resume his place at Tracy’s side. Calista Loter nearly steals the whole show as Tracy’s precocious much-younger sister Dinah. Showcasing a maturity that belies her 11 years, Loter is brilliant in “Paree, What Did You Do to Me?” (from Porter’s 1929 musical Fifty Million Frenchmen) as she dances up a storm with Tracy. 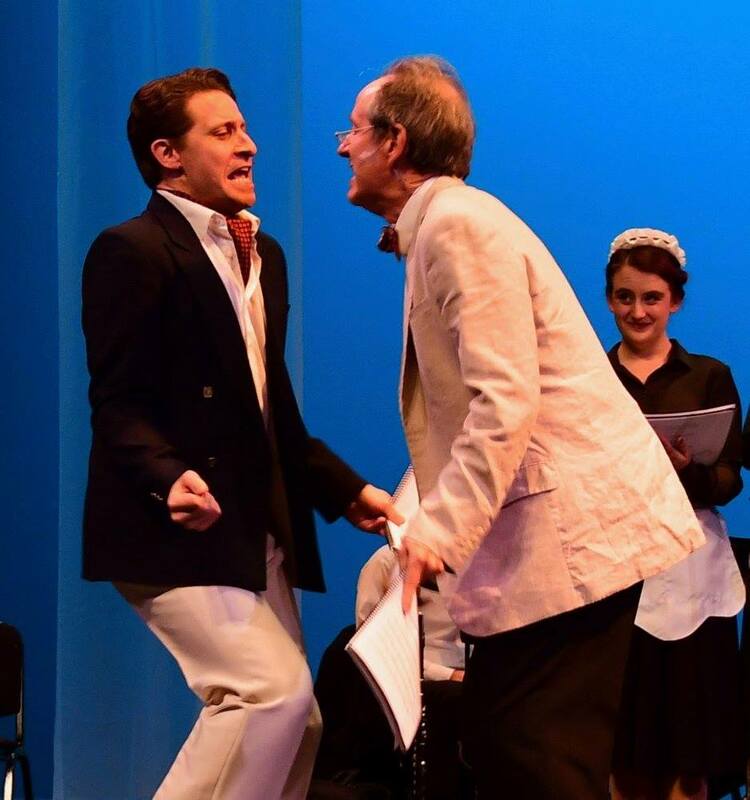 Filling in for the absent Zachary Ford in the role of Mike Connor is Roger Befeler, whose sunny, shimmering tenor perfectly balances Ginsburg’s resonant baritone. Also outstanding is Damon Kirshe as George, who brings to mind the clipped upper crust delivery of Seinfeld’s J. Peterman (John O’Hurley). Pamela Hamill, expert at playing daffy dowagers, is wonderful as Tracy’s mother Margaret while Robert Yacko does justice to the part of Tracy’s philandering but hard-to-dislike father Seth. The five melodious servants (Will Collyer, Adam Lendermon, Tal Fox, Kelsey Weinstein, and Alexandra Mitchell) all added their respective talents as the show’s Greek chorus, providing valuable musical exposition and transitions between scenes. Cassie Nickols, who is much missed from the Ventura County musical scene, led the superb five-piece on-stage orchestra, consisting of reeds, trumpet, trombone, bass, and drums, in addition to Nickols’ own skilled work at the keyboard. If you missed High Society, you have a chance to see MTG’s next production, Honeymoon in Vegas, which plays at the Alex for one performance on May 6. For details, visit their website at www.musicaltheatreguild.com.